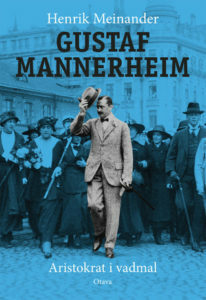 Henrik Meinander’s biography of one of the greatest Finns of all time, marshall Gustaf Mannerheim was sold to Argo Publishers in Estonia. Gustaf Mannerheim – From Russian Spy to Finnish Statesman sets the great man into his historical context in Europe, making the book not only a biography but a story of the international politics between the 1860’s and 1950’s. Argo is an established Estonian publisher with a strong focus on history.